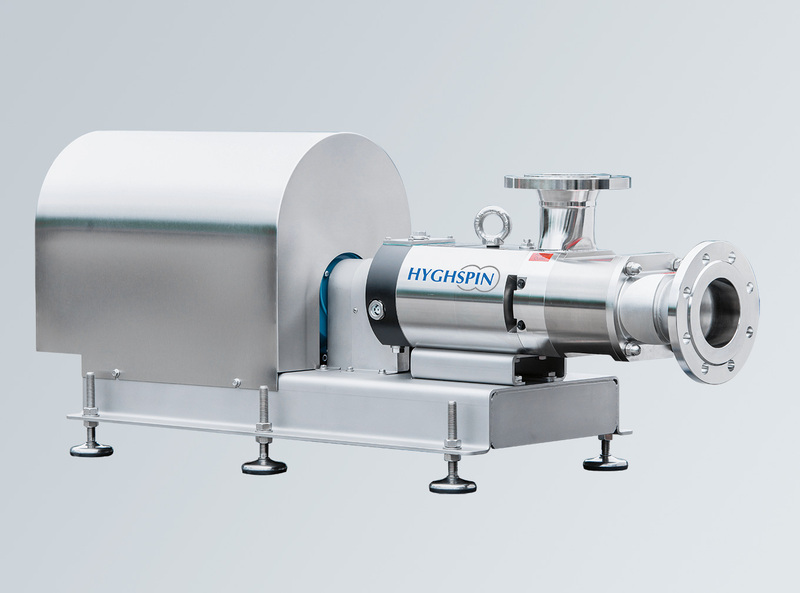 HYGHSPIN - EFPS - European Food Processing Systems Ltd. The HYGHSPIN is the basic model from the worldwide tried and tested HYGHSPIN pump series made of high-quality stainless steel. 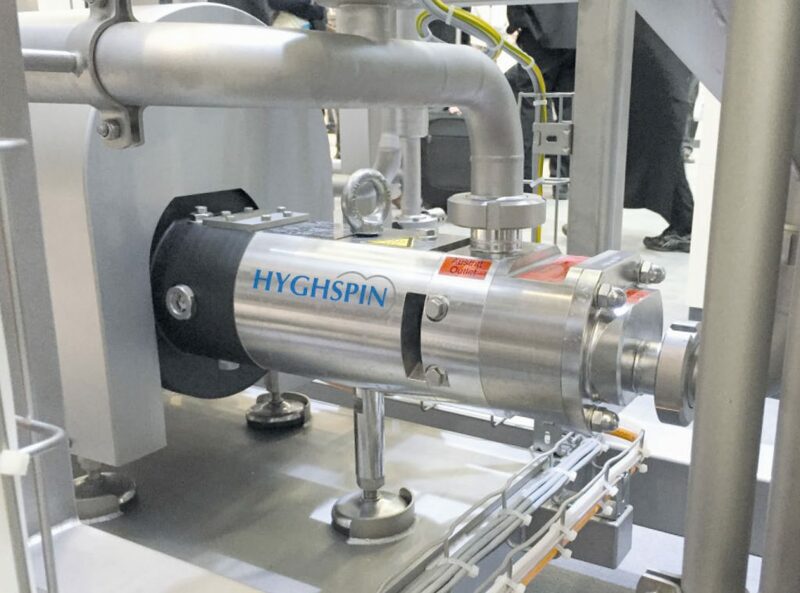 Whether aqueous, highly viscous, lumpy, fibrous or gas loaded – the HYGHSPIN is suitable for flow capable products of virtually any consistency and therefore is characterised by its high efficiency. The particularly service-friendly twin screw pump impresses with a very high suction power and gently transports all flow capable products in volumes of up to 300 m3/h. 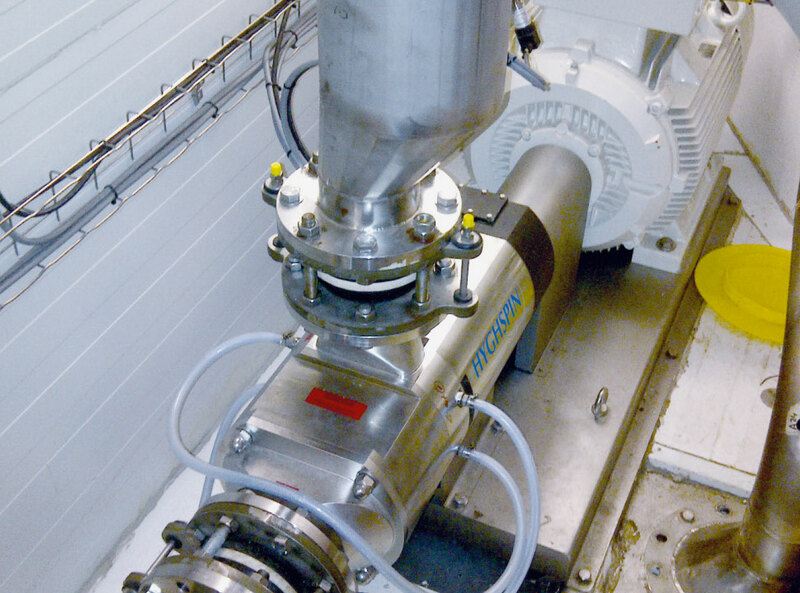 An additional pump for CIP cleaning is therefore not necessary: A considerable time and cost saving due to reduced investment and maintenance costs is thereby guaranteed. 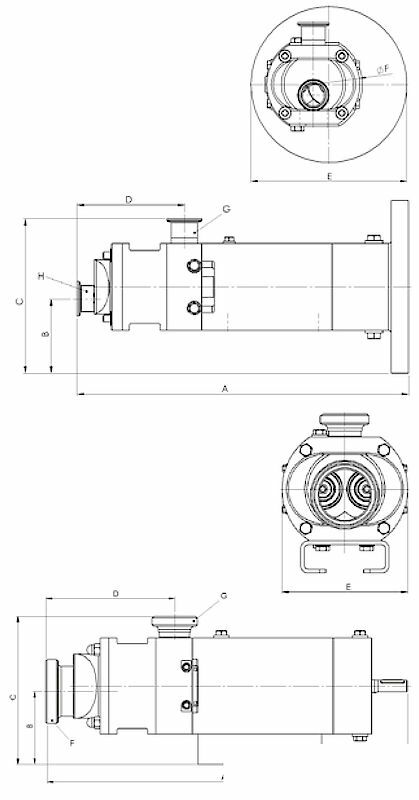 The HYGHSPIN stands for maximum flexibility and is available as a block design or with a free shaft end. The HYGHSPIN is available as a 50, 70, 90 and 125. The maximum conveying rate is approximately 300 m³/h. The delivery pressure can be up to 35 bar.